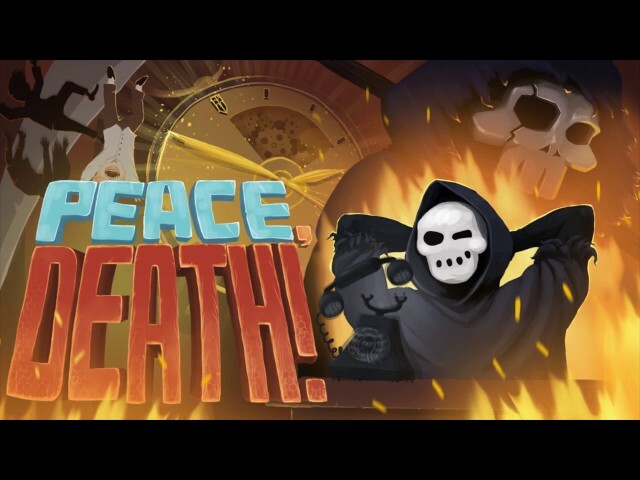 Peace, Death! 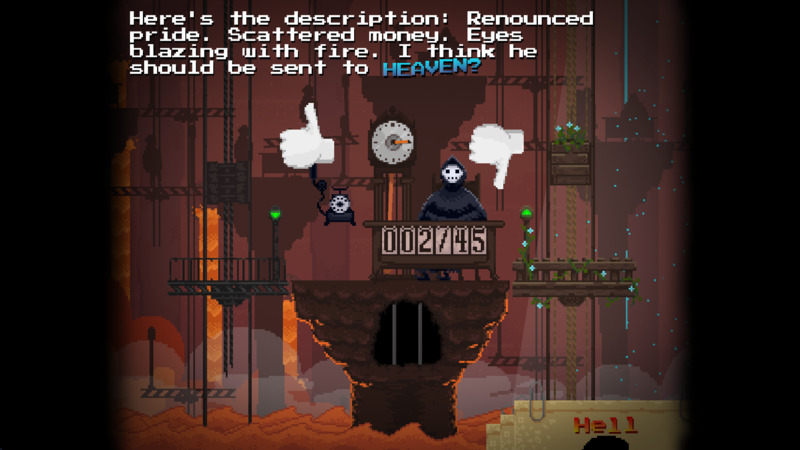 is an arcade simulator with difficulties. 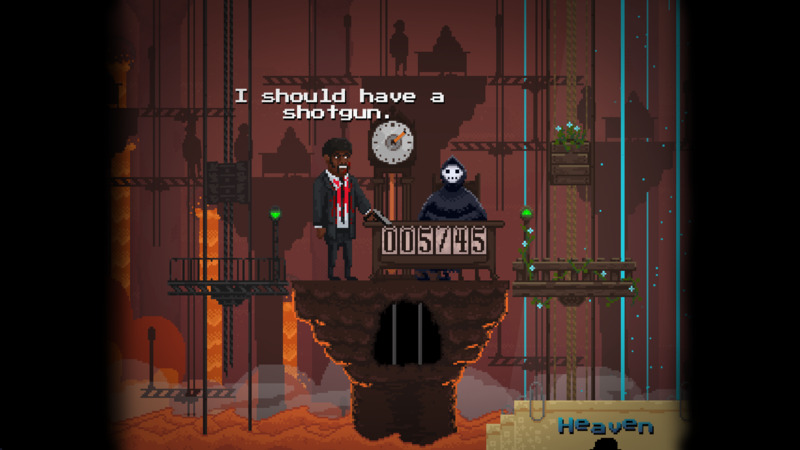 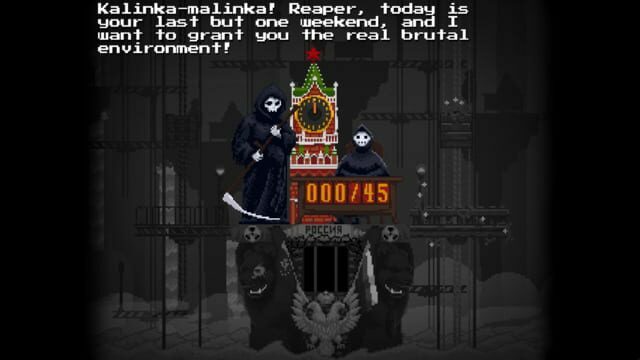 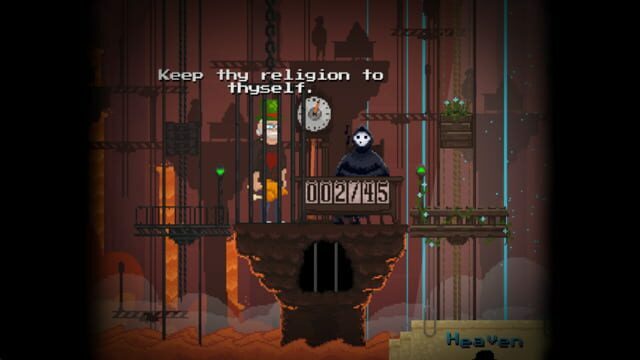 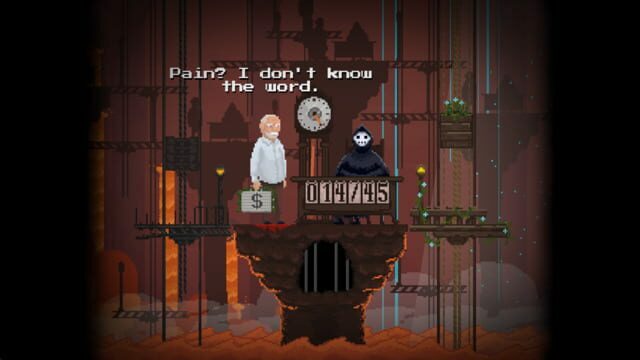 In this game, you play as the Reaper working for your boss, Death, in Apocalypse, Inc. You face a challenge: go through a trial period of seven weeks to get a permanent job and advance the interests of your employer.